Worth the Splurge: Fall Footwear — The Avenue Magazine. Fall is the best season for fashion. Not only is it the season of fashion month and Vogue’s September Issue, we also get the best clothes. I love the transition into the cooler months because I can start layering my clothes again, and wearing as much black as my heart desires. My favorite fall items, aside from jackets, are shoes-- they make me so happy. I love the colder weather that allows me to wear my favorite booties and over-the-knee boots. There is just something about boots that makes me feel so chic and put together. One of my all-time favorite fall footwear brands is Stuart Weitzman. Stuart Weitzman boots are so great because they are high-quality, timeless and trendy all at the same time. I have two favorites from the brand that are my go-to’s for the cooler months. If I want to feel fabulous and put together, I wear the classic 5050 boot; pretty much everyone and their mother owns a pair of these. They are the best riding style boots I have ever worn. They are stretchy in the back so they contour around your calf perfectly. The other style of boots I love is the casual and fun Lowland boot. They are above the knee and super chic, but they are flat-heeled, keeping them comfortable. Another shoe brand that I love is Crosswalk. Although their boots are still a splurge or the broke college student, they are far less expensive compared to Stuart Weitzman, and are still top-notch quality. 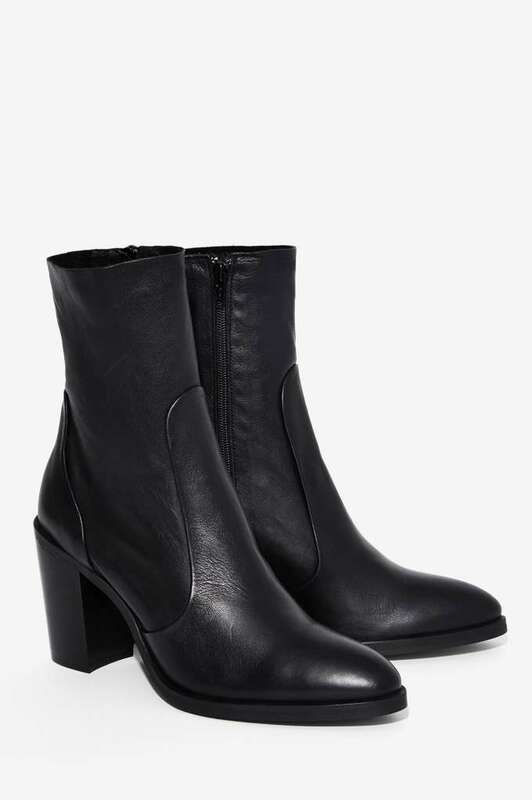 I have a pair of the Pico Ankle Boot and have been struggling to keep myself from wearing them everyday. They are casual enough for daytime wear, but can be dressed up for a night out. This style comes in a variety of colors that are constantly calling my name. Finally, a brand that I have had my eye on for years is Matisse. They are always coming out with new patterns and designs that are super fun and trendy. Personally, I think that splurging on a pair of boots for the fall is absolutely worth it. You need a pair of shoes that is going to last and bear the weather. So, go for it guys and gals- take that hard earned co-op money and buy yourself some fabulous fall footwear.